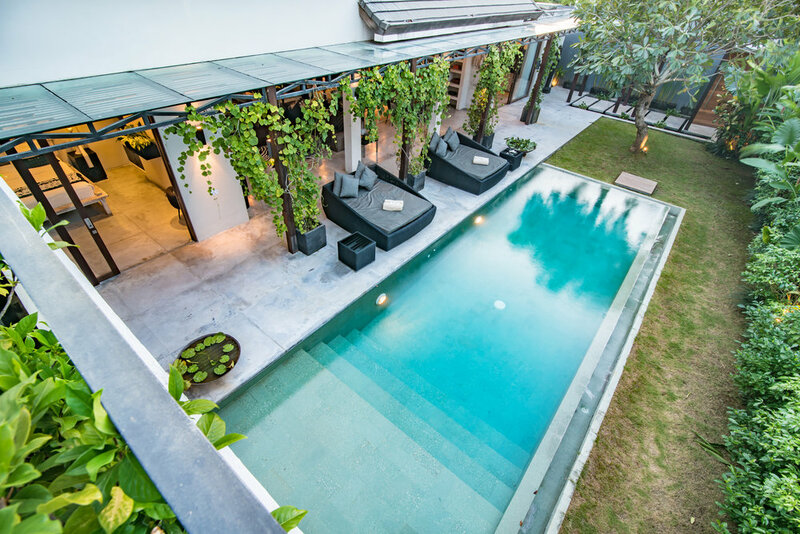 Satnam Villas offer guests a tranquil holiday setting in a secure private compound. Unlimited Fibre Optic Wi-Fi (25 Mbps). Full satellite TV package, DVD, and private security and maid service. Villa Vasana, Nandi, Prana, and Zanti Italian Luxury Designed Villas are finished to the highest standards, tastefully furnished and decorated throughout. Set amongst the glorious rice paddies of Umalas, and only a 10 minute drive from Seminyak’s sweeping beaches, vibrant night scene, world-class restaurants and chic boutiques. More than just a villa complex. This stunning, UBER CHIC villa, designed by Mauro Toamsi of MA Designs absolutely has it all. Satnam Villas offer you the perfect holiday experience. Enjoy the openness of your private bath. Step into your 11 x 4 metre private pool directly from your bedroom or your main living area. With its mature exotic garden giving a sense of relaxation and peace and, this is no exception to the full guest suite located at the other end of the villa. The large open living plan boasts vaulted ceilings, grand designated spaces for dining and living and room to roam. Living it up in Seminyak. 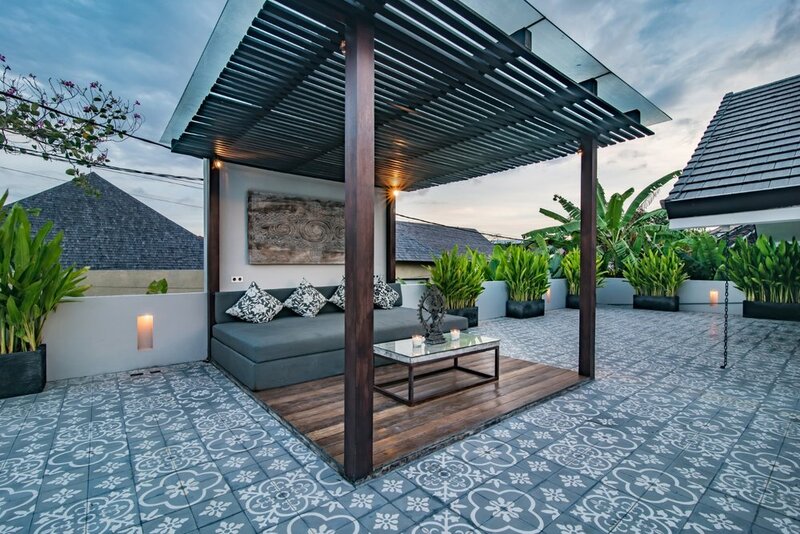 Seminyak is home to world-class resorts, boutiques, galleries, restaurants, and beaches. What else can one ask for? Coming from Jalan (Jl.) Kerobokan/Seminyak, turn left into Jl. Umalas 2. Proceed for approximately one kilometer (1 KM). Cross through a junction with a Circle K store and a Mini Mart store on the right. Continue down a hill for approximately 100 metres. You will see the small black SATNAM VILLAS sign on the right-hand side. Turn right into the small access road (i.e. gang or ally way). Copyright© 2017 Satnam Villas. All rights reserved.